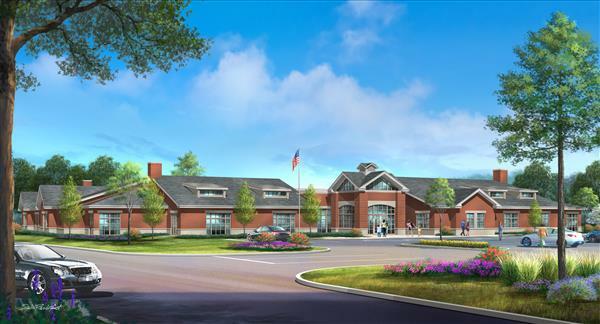 The City of St. Charles School District has a new state-of-the-art preschool facility. The St. Charles R-VI School District Preschool Program achieved recognition of excellence through Missouri Accreditation. This distinguishes it as an exemplary program offering high quality programming to the children of Missouri. The Missouri Accreditation of Programs for Children and Youth has awarded a Certificate of Accreditation to the St. Charles R-VI Preschool Program. This certificate is granted to quality programs that offer developmentally appropriate experiences in an environment conducive to children flourishing intellectually, emotionally, socially, and physically. Preschool is available for 3-5 year olds. Children must be 3 on or before July 31st. Classes will employ one teacher for a class of 10 students. A teacher and a teacher assistant will be employed for each class of 11-20 students. The program is designed to meet the Missouri Early Childhood standards and prepare all students for kindergarten. Parents will be responsible for transporting their child to and from the program. All resident students are welcome to apply, and will be screened for developmental readiness by Parents as Teachers. While non-resident students are welcome to apply for tuition-paying preschool spaces, students who live within the district boundaries will be given first consideration for placement. The guidelines for the Title 1 early childhood preschool program state that students receiving Title I funding for their preschool tuition will be enrolled based upon greatest need and must be residents of the district. Student need is based upon multiple criteria, including their performance on the Dial-4 assessment. Additional students will be enrolled and parents will be responsible for the tuition. To lean more about preschool registration or to sign up for the 2019-20 school year, please click here.